« Crowded and Foggy Runway Last Night at Logan. 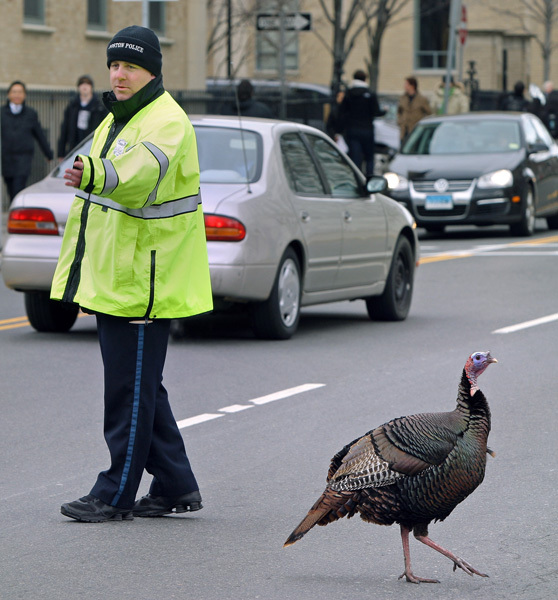 Turkeys at Longwood Medical Area and Harvard Medical School. 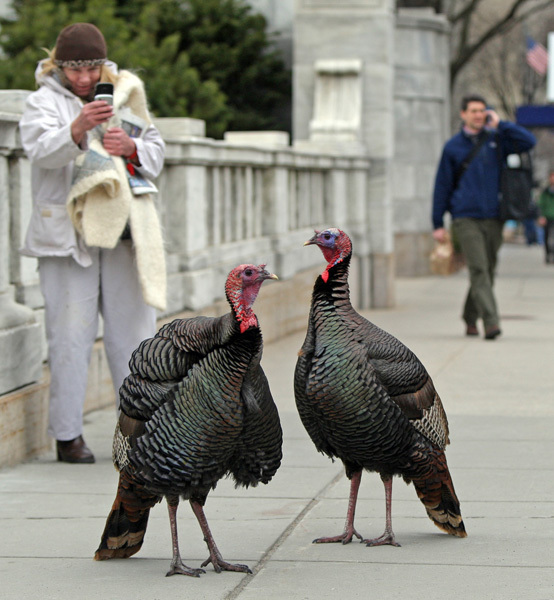 There were two adult turkeys and two juvenile turkeys hanging around the Harvard Medical School area yesterday afternoon when I snapped these photos. 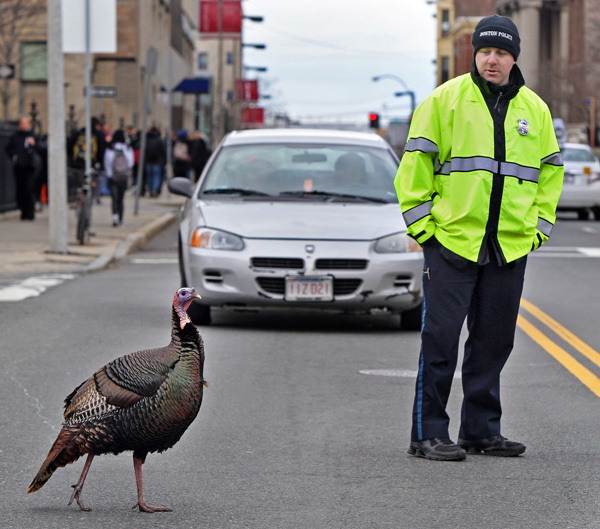 At one point, Boston police officer Shawn McCarthy helped by stopping traffic for a brief period as one of the turkeys got a little too comfortable with Longwood avenue’s asphalt surface. Story in today’s Boston Herald. This entry was posted on Wednesday, March 23rd, 2011 at 7:04 am	and is filed under Uncategorized. You can follow any responses to this entry through the RSS 2.0 feed. Both comments and pings are currently closed. Great photos! Speaking of wild animals, I heard of another coyote sighting in central Jamaica Plain. Folks with small pets, watch out!